AIRCEL, one of the fastest growing Pan India telecom operator today announced the launch of new Combo STV-39 (Special Tariff voucher) for its prepaid GSM mobile service customer in Mumbai telecom circle to make Local and STD Calls at Rs.1 for 3 minute as well as Aircel to Aircel Night calls for Rs.1 per 30 Minutes. The STV-39 is priced at Rs.39 wherein one can make Local and STD calls to any numbers across India at Rs.1 for 3 minutes. 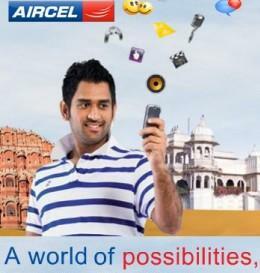 With this combo recharge customer can make Aircel to Aircel Night Local Calls (11pm to 7am) just at Rs.1 for 30 Minutes !. This product also provide Free 29 Local/National SMS after Fist SMS of the day (Local or National) at Re.1. The Remaining tariffs such ISD,VAS, etc will be as per the customers base tariff plan. 1.Pulse will change to 3 mins for Local & STD calls and to 30 mins for Night Local Aircel calls. 4.Tariff Validity 30 days. Not applicable on Channel Plan/RC300/RC500. 5.Applicable on 99/97 FRC, however, tariff benefits of FR99/97 will no longer be applicable till the expiry of RC39 (30 days). Aircel is doing amazing with handling its customers queries on social platforms as well. Very quick and helpful.